The new French Excel website was launched in the last day or so. We have worked on the website for the last month and are really pleased with how it has turned out. 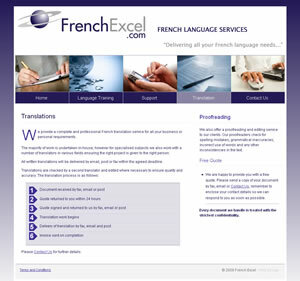 The website creation process was easier than some because French Excel knew what they wanted and provided clear and concise text content together with suggested images. This always helps!